Buying a home will be one of the most significant financial and personal investments of your life. Do not let the fear of ignorance or unpreparedness hold you back. We have debunked a few key myths to home buying, to ensure you feel prepared, confident, and ready to buy your next home. The first step to home buying is not shopping for houses. Prepare yourself for the road ahead in a few simple steps. Talk to your BMI Federal Credit Union Mortgage Specialist, gather your credit score, research your neighborhoods, and prepare for your price range. You should factor in your down payment, as it will affect your subsequent monthly payments. It is important to reserve your window shopping for when you have a full arsenal. It will behoove you to have good credit in buying a home. However, if your credit is nothing to brag about, you are not shunned from the home buying club. A conventional loan will typically require a decent credit score, but you can always look into other types of mortgage insurance, and Federal Housing Assistance (FHA) loans. An FHA loan is provided by the Federal Housing Administration. This is also worth looking into before you window shop. Sorry, but the down payment is just part of your up-front costs. You will have to account for an inspection, taxes, fees, and closing costs, the latter of which can be 3-6% of the purchasing price. These extra costs can also determine what state in which you live. 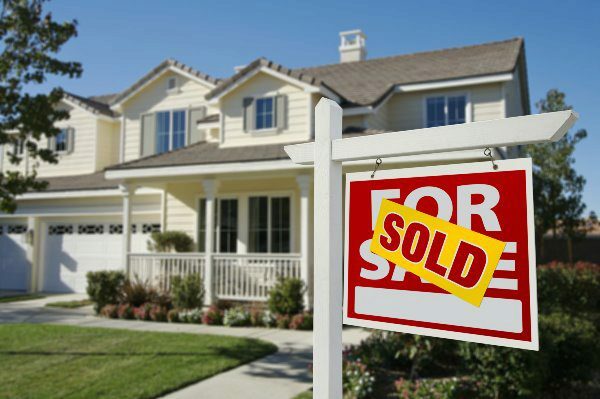 Check out closing costs in Ohio to learn more about this cost. You might think this move will save you time, especially if you’re in a good market and you’re concerned another buyer might beat you to it. Sellers are hoping this will happen. There is always the possibility of buying a house as is, which can entice the seller to accept a lower or expedited offer. However, a home inspection is a key must-have on your check list. Buying a home is a lot like buying a car. Good credit, pre-approval, and a prepared down payment can get you a lot with a seller. They may entertain the idea of negotiation than wait for another potentially less ideal buyer to come along, even if they think they can get what they’re asking for. They need you just as much as you need them. Your home inspection can also give you a little leverage if there are any repairs needed. However, your dream home can still be snatched out from under you if you don’t act. This is why Myth 1 is so important. Be prepared. Good, safe schools in a given area indicate good, safe neighborhoods and high property values. A real estate agent cannot or will not always disclose certain information, so make it your job to know. Check out local crime statistics, visit the neighborhood at all hours of the day. Some real estate agents will only bring you by a home at certain times, say, to avoid loud college parties or a passing freight train at night. School districts will also have an impact on your taxes. Do your due diligence. It will after all, be your home. Most people gravitate toward a 30-year fixed-rate mortgage. Payments are often lower. However, you’ll want to consider how much you’ll be paying over the life of the loan, including interest. You may benefit more from a 7-year adjustable rate or 10-year adjustable rate mortgage (ARM). If you are interested in becoming a home owner, but still don’t think you have what it takes, you aren’t alone. Even if you find your affordable dream home, you can still get stuck with a bad mortgage or a tough seller, and wind up with more problems down the road. That’s where we come in. BMI Federal Credit Union has Mortgage Loan Specialists who are looking out for you. We also have an award-winning Financial Education Program, complete with mortgage calculators, free workshops, and one-on-one coaching. Learn about your credit union's role, determining your budget and reviewing options, home inspections, title insurance, the closing process, and more! Call a Loan Specialist at 614.707.4000 today to get started on your home buying journey!